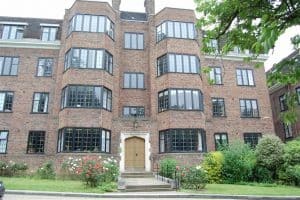 In the little east end of Putney, on a greenery expanse, you will find the art deco red brick flats, this one is featuring three bedrooms and a full bath. 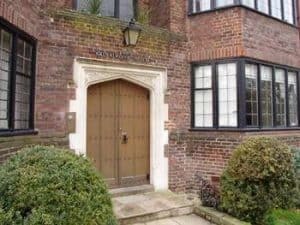 This Putney rental property is conveniently located just a couple blocks from the East Putney Tube station and Putney South West trains station. This building is just across the street to the wide open spaces of Putney Heath Park and its resources of outdoor sports. This Putney rental property is situated in the triangle between the A3, S. Circular Road, and Roehampton Lane. These 1930’s era, 14 refined estate homes have 228 roomy flat rentals. This property has a bit of historical value as well as a number of large bedrooms, and complete family bath. A formal entry gives you an immediate open floor plan feel when you look upon the natural fireplace and its detailed mantle. Across from that is the span of almost a dozen oversized bay windows that overlook the yard and green space that separates Manor Field. All the rooms, including the fully equipped kitchen and bathrooms, have the large set of windows that let in all the natural light. This Putney rental property has special architectural details in crown moldings and curved and high ceilings. You really get the feel of one of the larger Putney rental properties in this listing; it feels big inside the space. This flat is just a few blocks south of the village centers that offer a cornucopia of take away restaurant choices. Wildwood, Sapori Sardi, Nuovi Sapori, Ma Goa and Tripahl Indian Restaurant will keep you fed even when you don’t feel like the formality of dining out. But if you do, then there are really no better date spots that Marco Polo Italian Restaurant on the River or the classic French L’auberge is another romantic choice. When you move on to choices of pubs, the selection doesn’t waver. You can go across the river for traditional British meals done well at The White House, or just west on that side to the Rose Pub which is an open secluded spot. But back on the side of this special Putney rental property is the home of the lads that champion ale, The Bricklayer’s Arms is a blast from days past. Two more pubs worth the visit might make this a pub crawl in the Boathouse, and Spotted Horse. The Spotted Horse is an 18th-century pub and the interiors been completely renovated. 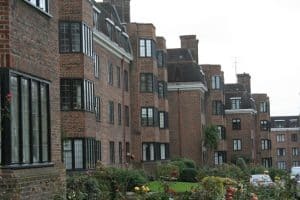 Moving east in the village will bring you in the vicinity first of The Cat’s Back, which is Edwardian in architecture with its etched glass windows. Further east are two more top picks, The Alma, and The Ship. One thing is for certain with the great shops, and eats within walking distance, that’s spacious, bright and walking distance to both stations, this Manor Fields Putney rental property won’t be on the market long at this price.